Italy is recovering from a deep and long recession. Structural reforms, accommodative monetary and fiscal conditions, and low commodity prices have helped the economy to turn the corner. The Jobs Act, part of a wide and ambitious structural reform programme, and social security contribution exemptions have improved the labour market and raised employment. Yet, the recovery remains weak and productivity continues to decline. Returning the banking system to health will be crucial to revive growth and private investment. More investment in infrastructure will be essential to raise productivity. The government has made significant progress on tackling structural impediments to growth and productivity. 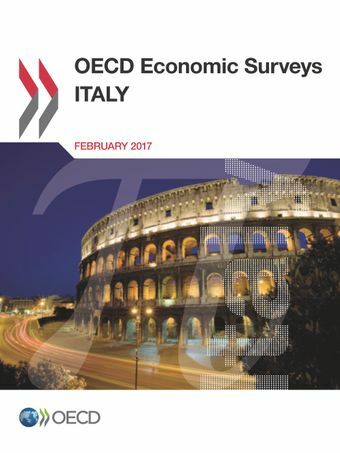 Yet public-administration inefficiencies, slow judicial processes, poorly designed regulation and weak competition still make it difficult to do business in Italy. Labour and capital resources are trapped in low-productivity firms, which hold down wages and well-being. Innovative start-ups and SMEs continue to suffer from difficult access to bank and equity finance. Literacy scores are low and job-skill mismatch is one of the highest among OECD countries, depressing earnings and well-being. Many workers are under-skilled in the jobs they hold, highlighting mismatches between workers skills and those required by employers. Improving the education system and labour market policies are crucial to raising real wages, job satisfaction and living standards. The Jobs Act and the Good School reform go in the right direction and need to be fully implemented.